Data Center Infrastructure Management (DCIM) is becoming more broadly adopted to plan, monitor and operate the modern data center. What has the tool done for companies thus far? 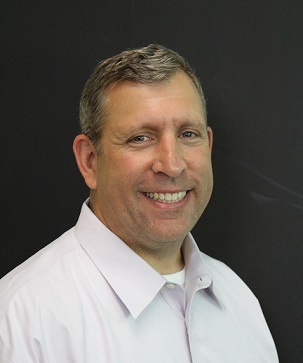 As part of our “7 Winning Strategies for Building a Successful DC Business” video series, Joel Stone, VP of Global Data Center Operations for CenturyLink talks about how his organization leverages DCIM for capacity planning and monitoring to gain operational efficiencies. CenturyLink operates more than 55 data centers in North America, Europe, and Asia providing broadband, voice, video, data, and managed services over a robust 250,000-route-mile U.S. fiber network and a 300,000-route-mile international transport network. When it comes to capacity planning, CenturyLink uses DCIM to manage the space, power (PDUs, receptacles, etc. ), and network ports. The tool allows them to understand the availability of capacity throughout their entire data center portfolio while identifying opportunities to consolidate. “Once all that is in the system and modeled, we can better manage our mechanical and compute infrastructure by taking advantage of best practices and methodologies in the software,” said Joel. With DCIM, there is visibility down to the device within the rack and this helps automate monitoring processes that were once manually driven. Gone are the days of Excel spreadsheets and therefore gone too are the days of the human error that often resulted. In the past information was not in real time, but perhaps more importantly, it was only as good as the person who was inputting it. Now, CenturyLink can accurately look at data in real time and model different “what-if” scenarios. Over the next few years, he predicts CenturyLink will better utilize DCIM, not only for its own business, but for it customers’ businesses too. It’s still early days for DCIM but the potential for these tools has already proven to be very significant. There are pitfalls along the way though and companies should be sure they’re clear on the desired outcomes of a DCIM solution. Schneider Electric has busted several DCIM myths to help you build the case for a successful implementation. For a more in-depth look: Whitepaper: Avoiding Common Pitfalls of Evaluating and Implementing DCIM Solutions.